This has been around a while, but still a great feature if you're going to park your truck for an extended period and would like to save your battery - Transport Mode To turn the Transport Mode On/Off, it will be necessary to start the vehicle, activate the hazard flashers, press the brake pedal (automatic transmission) or clutch pedal (manual transmission) then press and hold the Start/Stop button or turn the ignition key to the crank position for 15 seconds. (The engine will turn OFF on push button vehicles.) The same steps are used to turn on the feature. After the Transport Mode is enabled or disabled a message will appear in the DIC. SS502 nails it. It's just a simple measure to keep water & dirt (that will go into the tank when the nozzle is inserted) from accumulating in the filler neck. Yeah, I had thought about that and why I liked that while it fit it did not seal the filler area ie: there is some space between the cap & neck allowing airflow into the tank. Express pressure in the tank should vent through the charcoal canister and the emissions system IIRC. If it becomes an issue a horizontal hole drilled into the side of the cap would eliminate any venting issues while still blocking debris. The PVC cap is more of a loose fitting cover than a sealed cap. I was surprised to see that my 2018 Sierra 1500 SLT didn't have a fuel cap but instead had a self sealing fuel filler. As soon as I saw the filler it looked like a nice trap for dirt and water. As tight as the fuel door is - Water and dirt have been getting behind the door - I read here somewhere here that a 2 inch PVC cap would fit right over so I picked one up for $2.00 at my local Ace Hardware and it fit over the filler nicely- I bought the cap that is not threaded but smooth on the inside - The cap does not seal the tank but does a great job of keeping water and debris out of the fuel filler throat. That's the point of not programming the spare key- to allow access to the truck via the door lock but not being able to start it. Then you can get access to your inadvertently locked in keys or to get to a hidden/locked away key that has been programmed. 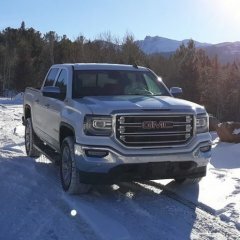 I installed a BakFlip G2 on my 2018 Sierra. Easy to install and nice that it can be folded up easily for large loads. My plan too- buy a blank key on ebay, have it cut but not programmed and hide it in a box outside. Use this key to get inside the truck knowing that it will not work in the ignition. Once inside get to a hidden key that is programmed to start the truck. 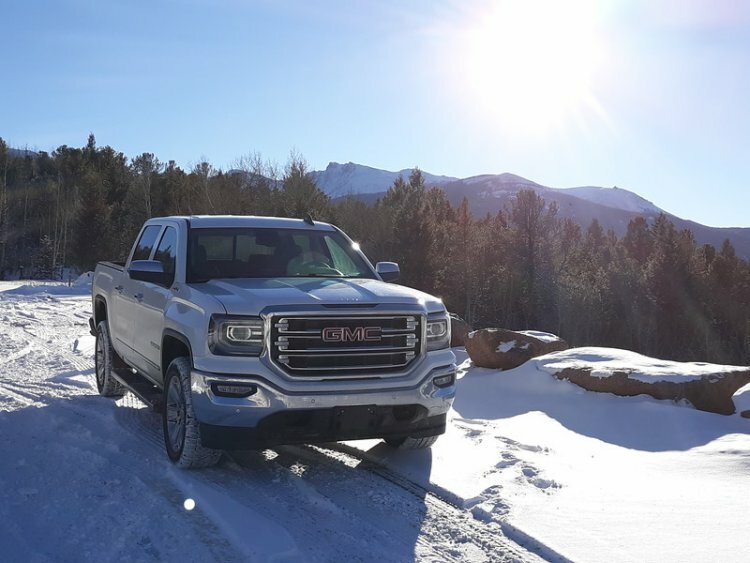 Bought this new 2018 Sierra SLT 1500 on New Years Eve - and brought it home to it's place next to my 3500 Roadtrek 4x4 - On new years day I took my girl out for a drive near Pikes Peak - Let the mods begin!